Nestled amidst lush greenery, swaying palm trees and manicured lawns, featuring whimsical, vividly hued architecture and a prime spot on one of the world’s most beloved beaches, every inch of Grand Pineapple Beach Negril invites you to submerge yourself completely in the heart and soul of the tropics. Dig your toes into sugary white sands. Stroll aimlessly through luscious, scent-laden foliage. Lose all track of time in this intimate getaway, as you swim endlessly in sparkling turquoise waters. 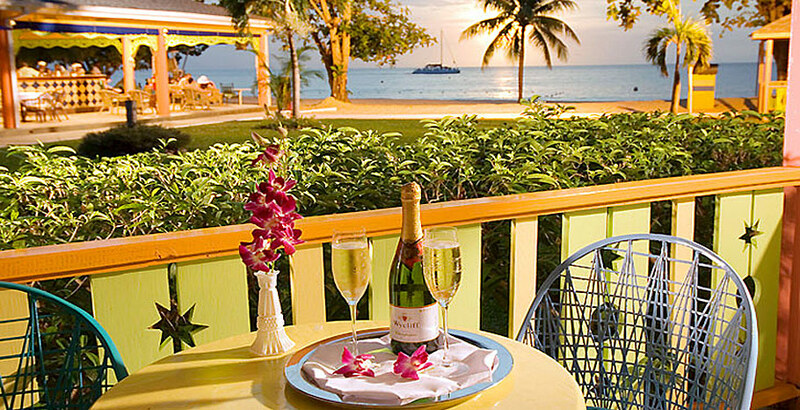 Experience the very essence of the islands at this all-inclusive beach resort in Negril, Jamaica.